- Date: 06/2014, Series A: $1.675 M (post valuation: undisclosed amount). You woke up only to find more junk mail in your inbox than your mailbox. The data alerts on your smartphone are becoming more irrelevant and draining your battery.Magnetify's purpose is to enrich your world with relevant data. SHMYing is the ONE app you need that personalizes all of your every-day, in-store shopping visits. Let's GO SHMYing! Magnetify's purpose is to enrich the world with relevant data. The Company has created a 100% consumer facing Mobile App that help consumers manage all of their every-day, in-store, shopping wants, needs and desires called SHMYing (rhymes with buying). 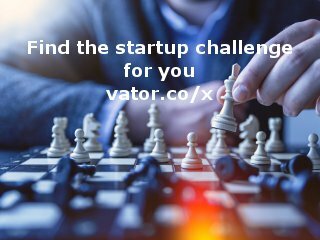 The Company has multiple patent filings that take behavioral traits and social media impact/ influence down to ePos/cash registers. SHMYing is concentrated on delivering consumers personalization, convenience and savings. Incredibly, there are NO ONE App solutions for every-day, in-store shopping visits (across retailers). This is an $8.1 trillion dollar market gap/opportunity that represents an average of 16 monthly trip visits per customer. SHMYing empowers consumers to give and get shopping testimonials and find the deals for the products they want in the stores they love. At the data foundation level of SHMYing we've integrated and regularly update the deal content for 50,000 stores that represent more than 350 of the largest retail chains in the United States. At present, we launched our Beta late last year and have solely focused on creating an intuitive user interface and experience. We plan to launch our Go-to-Market product and supporting marketing efforts later this year. Magnetify has been funded by our Founders and more than than a dozen current and retired Sr Exec/ C-Level experts that lead the financial services, retail, consumer product packaged goods, advertising and hard and software industries. Lawrence Bergenfield is a Serial-Entrepreneur who is a well-seasoned strategy, marketing, sales, product and business development executive. 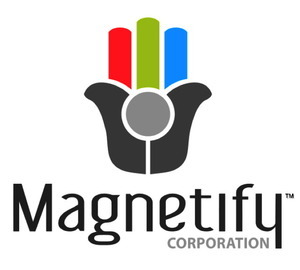 jeffrey handler confirmed Magnetify Corporation as an investment.